Dies irae: Amantes Amentes is coming to Switch on September 27 in Japan for 5,800 yen, publisher Views and developer Greenwood announced. The Switch version, titled Dies irae: Amantes Amentes for Nintendo Switch, includes the additional scenario “Saoshyant Desatile: The Savior Who Became God,” which is a prequel to the smartphone game Dies irae: Pantheon. Dies irae is an immensely popular Japanese visual novel. Ever since its initial release in 2007, the game has sold over 100 thousand copies domestically, with new fans being drawn to it every passing year. 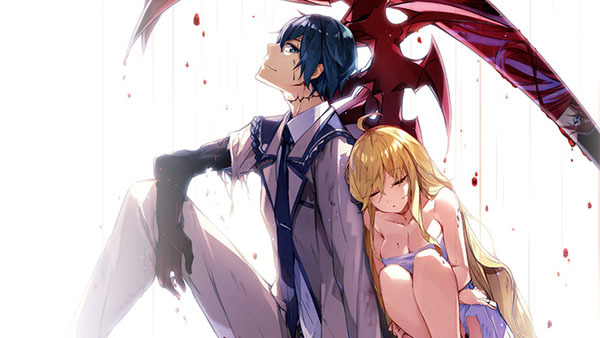 In 2015, a Japanese crowdfunder was conducted for an anime version of Dies irae. It successfully raised over 30 million yen less than 24 hours after it began. The anime is currently in-production, and scheduled to begin airing in 2017. Of course, there are plans to air the anime in North America as well. The game contains a dark and rich atmosphere, characters with twisted personalities, poetic and sophisticated dialogue, and heart-poundingly thrilling battles. Every single one of these aspects are finely-tuned. Dies irae also has a splendid cast of voice actors, many of them legends amongst anime fans the world over. Naturally, many fans have also been feverishly drawn to the story and its ride of thrills. The battle with the Longinus Dreizehn Orden. A continuation of that war full of madness, carnage, and maledictions. What future awaits Ren at the end of his road…?